Rich in tradition Chania gastronomy is a fair sample of the popular Cretan cuisine and can be enjoyed throughout the prefecture in any of the numerous traditional taverns or the best restaurants, also included in Cycladia’s dining guide for Chania with the best places to eat in Chania, Greece. 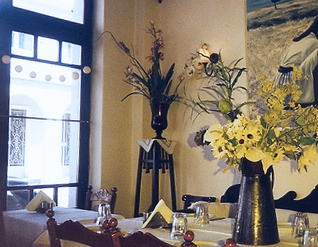 Undoubtfully, dining in Chania is a unique experience treasured not only by the thousands of travelers to the area but also locals. Chania New and Old Town are two of the best places to eat in Chania and are bursting with choices of cozy traditional taverns who majestically offer all Chania gastronomy specialties but also some of the best restaurants in Chania prefecture for a combination of gourmet and traditional dishes. Cycladia’s dining guide for Chania will offer you not only the best restaurants in Chania epicenter but also recommends exploring small villages and traditional settlements where you will find treasures of Crete’s cuisine. Apart from the best places to eat in Chania and suggestions for dining in Chania, Cycladia has prepared a detailed list for Chania nightlife consisting in the best bars and clubs in Chania. Crete for being Greece’s larger island is a heaven for vacationing due to its remarkable natural beauty and diversity and a favorite destination offering anything a visitor might need: a vivid Chania nightlife with many bars in Chania Town and the main villages, a vast variety of accommodation units and a scenic natural environment that will urge visitor eager to return!